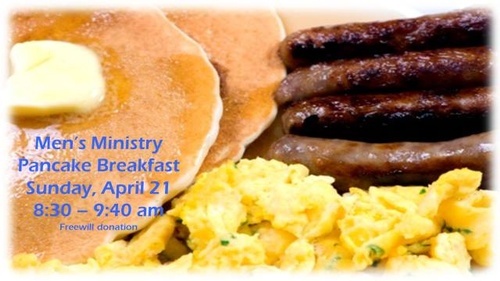 The Men's Ministry is once again hosting an all you can eat Easter, Pancake Breakfast for the entire family. Plan to come for breakfast and stay for worship at 10:00. Cost is a "freewill donation."